7 Kids and Us: Light Up Your Stroller or Bicycle with Buggy Brites! Light Up Your Stroller or Bicycle with Buggy Brites! When readers email and ask me what products they should bring when going to Disney World. I always recommend a flash light. If you're going to be in the parks at night, you need one. 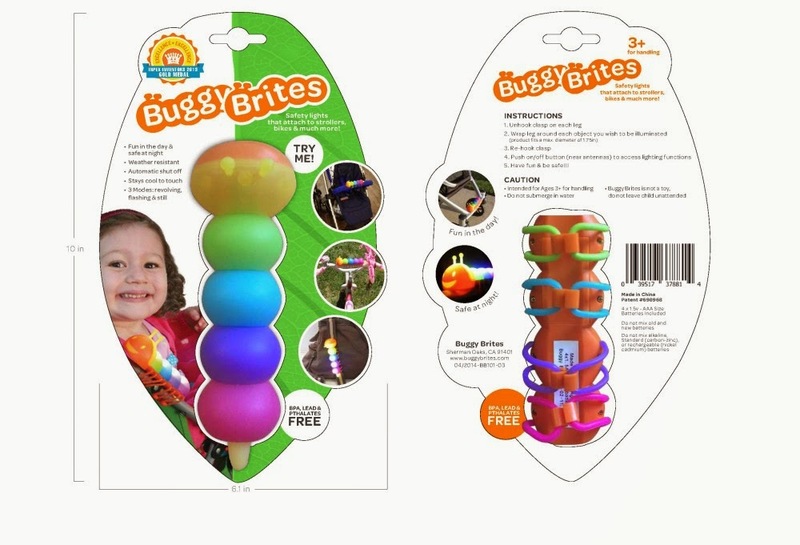 Casey and I have always taken a flashlight with us, and most of the time, it gets lost in the bottom of the backpack, so when we heard about Buggy Brites, we loved the idea! 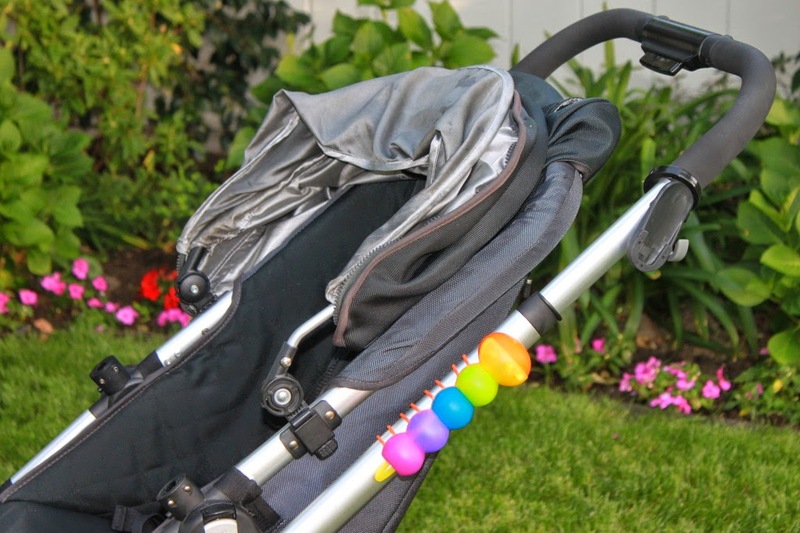 Buggy Brites is a caterpillar shaped light that easily straps on (with velcro) to your stroller, backpack, or bicycle. Once it's strapped on to the stroller, Sarah wasted no time looking at it (in fact, we had quite a crowd gathered around to admire it!) I love that it's a nice soft light, so it isn't overwhelming. Some of you may ask.."why do you need a flashlight at Disney World?" Well, the reason we need one is because when we are walking around in the evening, it's inevitable one of the kids will need something out of the backpack, or they will need to tie their shoes, or we will need to find our keys, or money..so one day we decided to bring a flashlight. We don't need to remember to bring one anymore, as long as Buggy Brites is on the stroller! You can purchase Buggy Brites here for $12.95.